The group arrives in Mexico City. 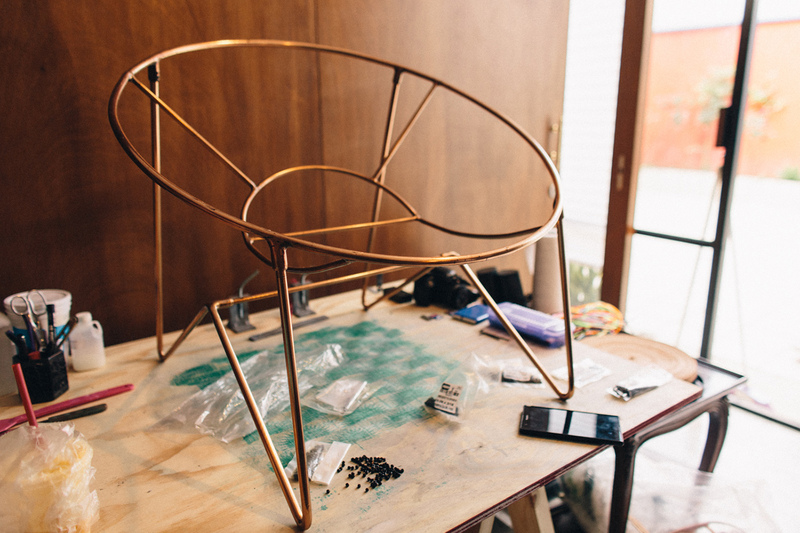 The Aldama Chair takes shape in the Coyoacan neighborhood of Mexico City. The thick, natural leather is sourced from Mexico’s leather capital, Leon. 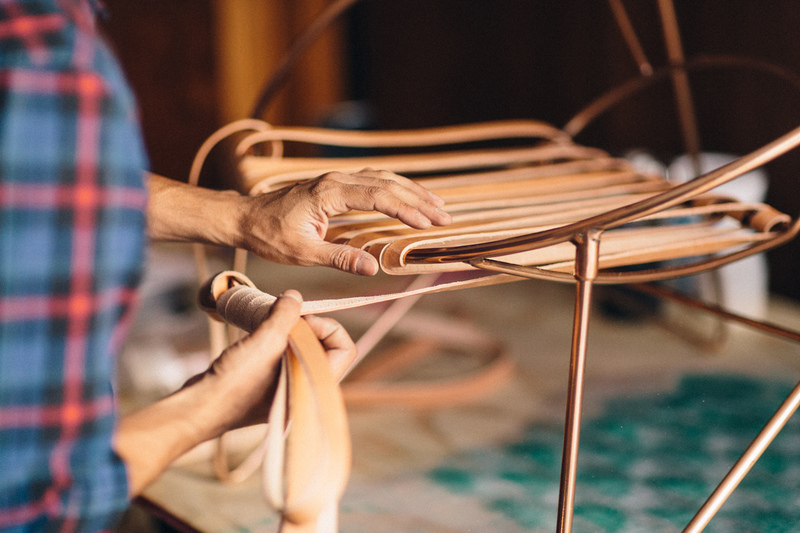 Each chair is crafted in a fair trade environment and takes several days to make. The chairs are handcrafted in small batches, and each one comes with a hand-numbered tag. 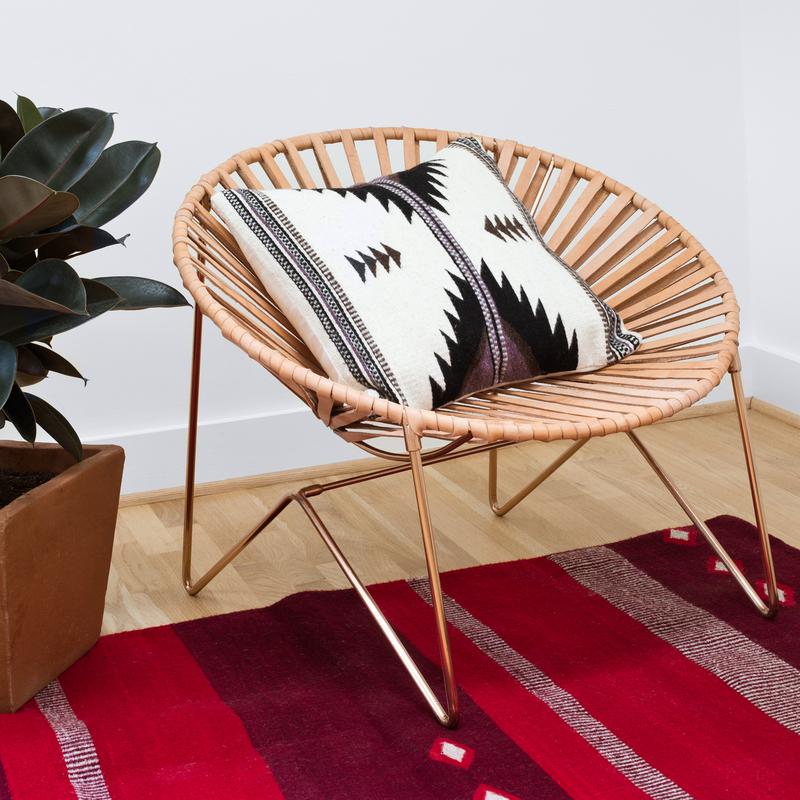 Pictured here with the Espadin Pillow and Kedo Rug, which are woven by Zapotec women who live and work in Oaxaca. 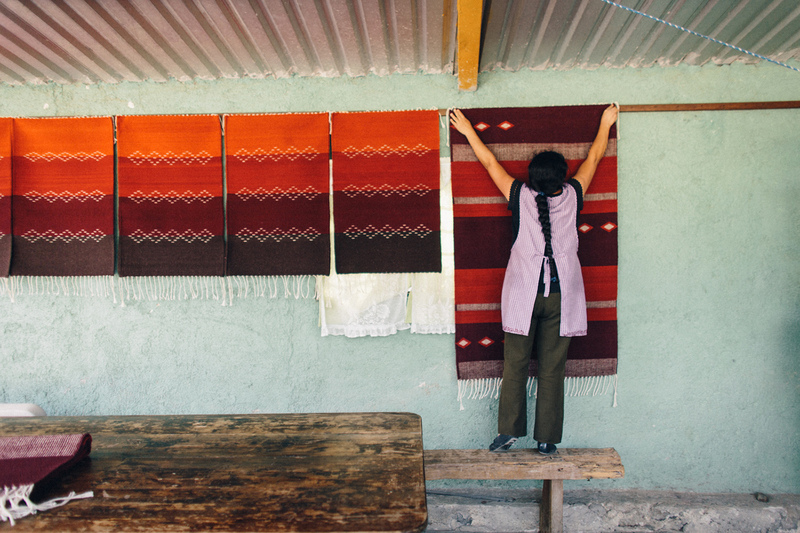 The female artisans in Oaxaca also create beautiful rugs, bringing their ancient Zapotec culture to each design. Each one is handwoven and dyed using all natural materials, taking about a week to complete start to finish. The team also traveled to the Yucatan peninsula. There, they met a group of artisans creating beautiful hammocks. 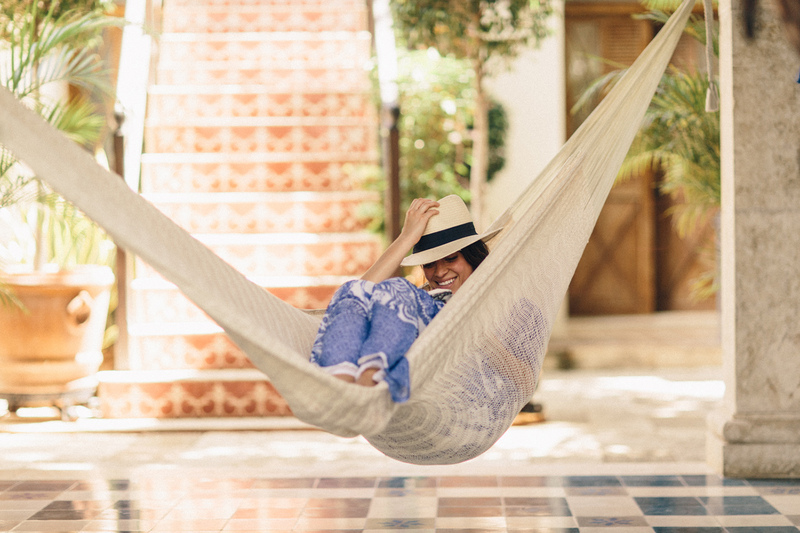 Believe it or not, each hammock is larger than a king-sized bed. 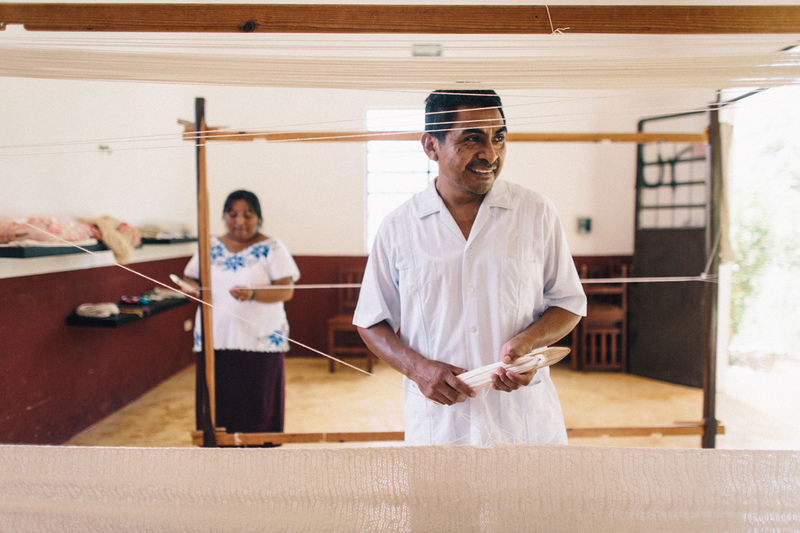 Artisans work for eight days to hand-weave each one using 100% cotton from a local market. 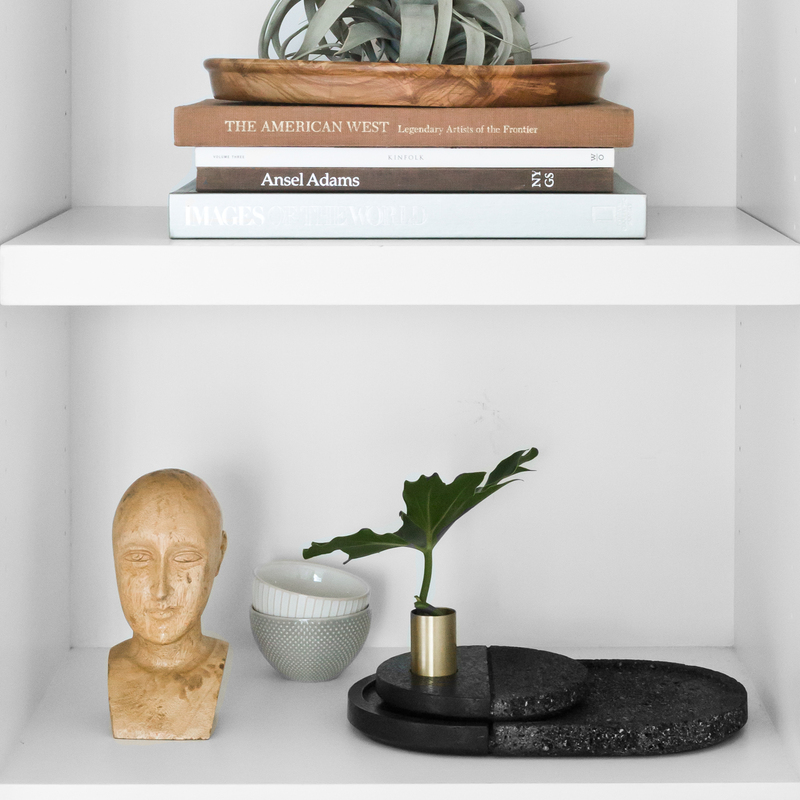 The team also partnered with a studio in Guadalajara to create beautiful, handcrafted pieces from Mexican marble. 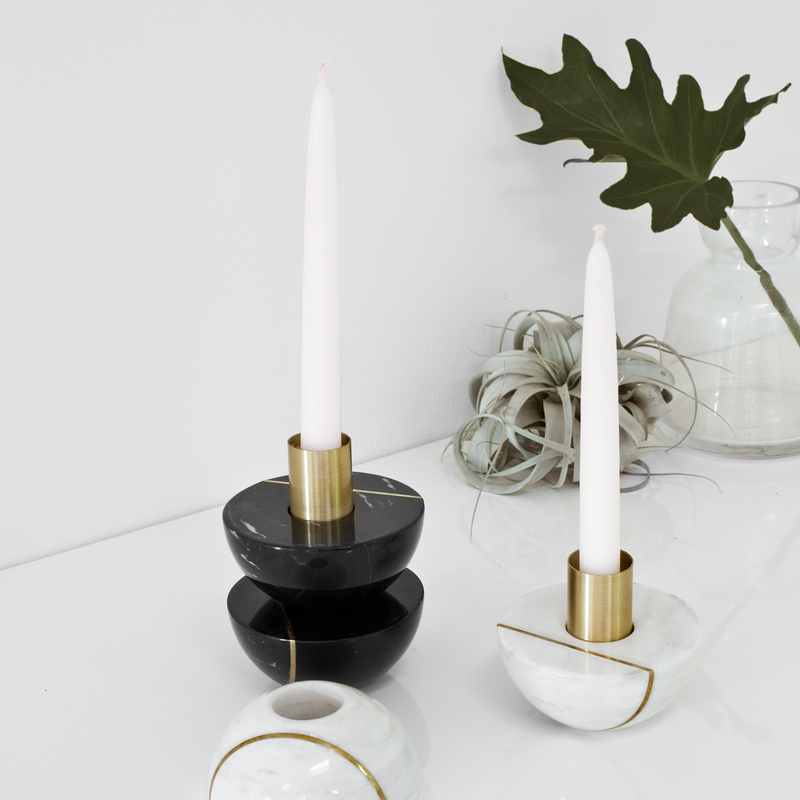 Each candleholder takes several days to cut, shape, and polish. The result is gorgeous and unlike anything else available right now. 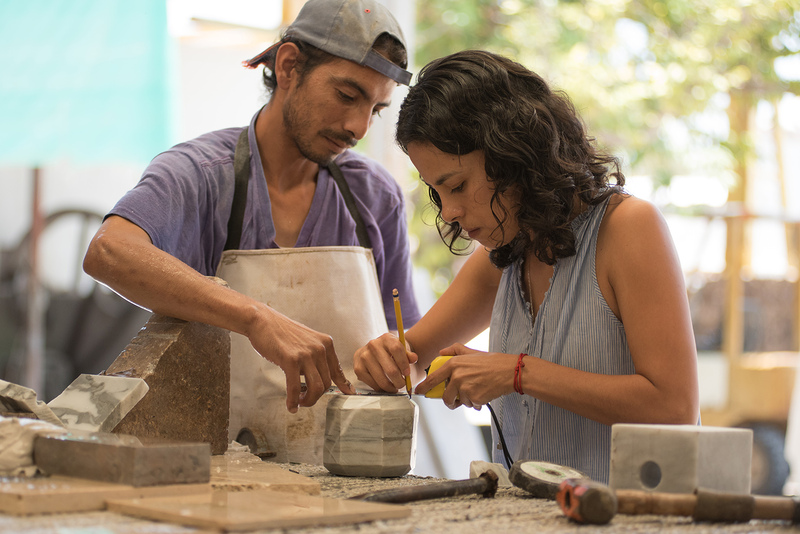 In the same studio, you’ll find artisans working on Lava Trays – built with volcanic rock from the small state of Querétaro. Perfect for entertaining! Needless to say, we’re thoroughly impressed with each piece – both by the design AND the story that accompanies it. Here are are favorites. Which will you add to your home? Have you heard of The Citizenry? We’re assuming yes… and not just because we’ve been singing their praises over the last year. The globally-inspired decor brand has taken the entire design world by storm, reviving the famed Argentine butterfly chair and adding their own modern twist to the iconic design. (Copper and white cowhide, anyone?!) 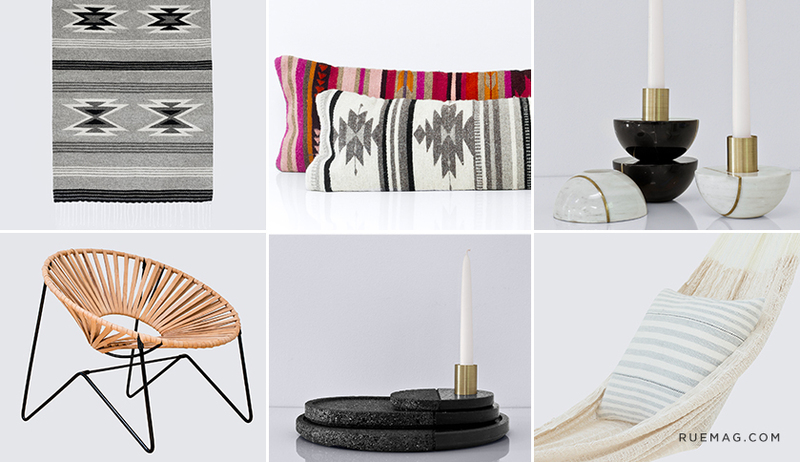 They’ve curated a selection of gorgeous wares from Uganda and woven goods from Peru, and they’re just getting started. The founders, Carly Nance and Rachel Bentley, believe that “our homes should be reflections of the journeys we take,” which is how we knew we’d get along with The Citizenry just fine. We couldn’t agree more! 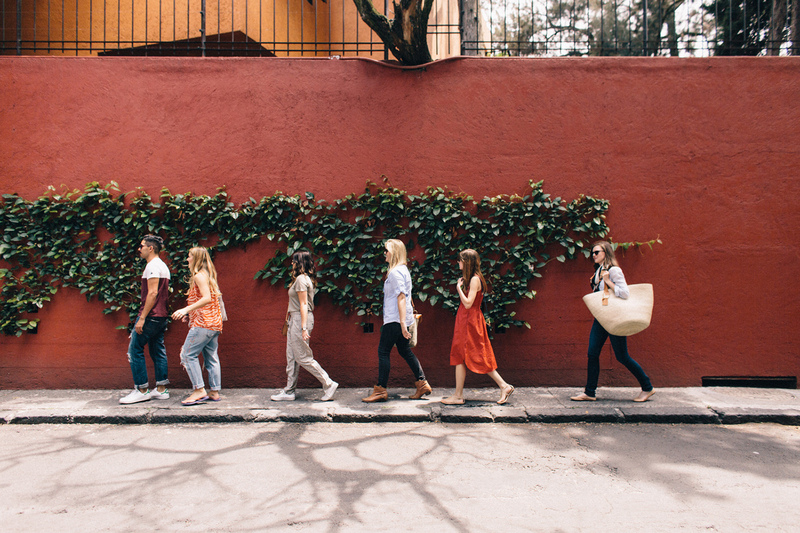 For their latest collection, the team traveled to Mexico – covering 1,500 miles and 8 cities. This was monumental for the duo, as the launch of the collection symbolized so much. It was the most they’ve traveled in one country. It includes the most artisans. And it all happened exactly one year after they brought their idea to life.